While it's not the best Spider-Man Sam Raimi directed, its certainly not the worst. 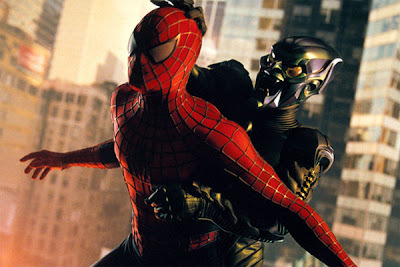 At the time this film released I remember loving everything about except the costume for the Green Goblin. Raimi really did a knock up job on the origin of Spider-Man and Tobey Maguire really is the perfect Peter Parker/ Spider-Man. The super hero flick still holds up very well with other comic book films releasing as one of the better released comic book films of the past decade. Frailty is a true underrated gem. It was a surprise film that I did not expect, but ended up being one of the best films of the year hands down. 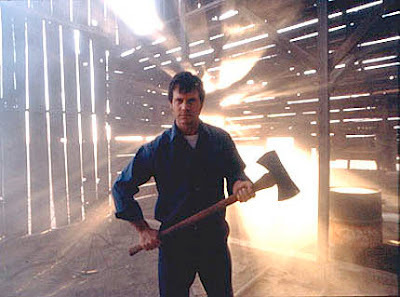 Bill Paxton who I loved since Near Dark plays a fanatic father who drives his family to rid the world of "demons". Frailty is one of those films that had a spectacular reveal in the third act, one that still holds up well to repeated viewings. If you've never seen Frailty, make it so number one! One of the most heart warming films I saw in 2002, even though I Am Sam technically had a limited release in December of 2001. The film did not go wide until 2002. I Am Sam is yet another in a long list a amazing dramatic roles from actor Sean Penn. 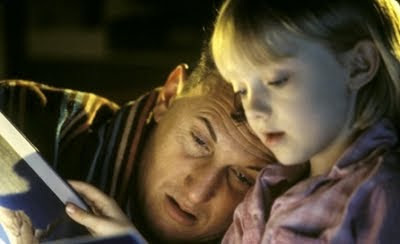 Not to mention the breakout performance by Dakota Fanning. Writer/director Jessie Nelson who also gave us the tear jerker The Story of Us delivered another inspiring film that I to this day cherish. The follow up to Fellowship of the Ring was incredible to say the least. The second Peter Jackson adaptation of J.R.R. 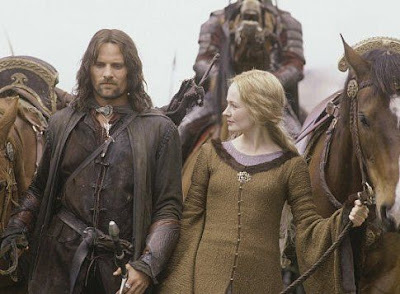 Tolkien's work however wasn't as entertaining as the first film, and does seem very much the transition story. That said, I still love it just not as much as the first film in the series. The Two Towers does in fact house my favorite battle within Middle Earth, with the Ents taking aim at Saruman and his tower. Just a great sequence on screen. Whether you love or hate Michael Moore, there is no denying the impact of his documentary Bowling for Columbine. Arguably his best work (Although I favor Roger and Me), but nonetheless a powerful effort. Columbine was a tragedy that struck and shocked our nation and Moore's take on the subject was insightful. 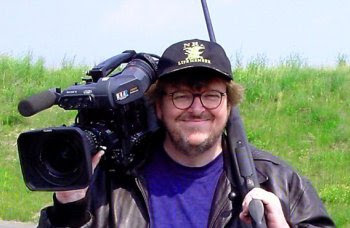 What makes Bowling for Columbine so influential is it is Moore's least controversial film he's directed. While gun enthusiasts may not completely agree with Moore's stance, everyone could agree on the outcome of his film. Never have been a big fan of remakes, but when the original director decides to do it himself, if you have to perks your ears up. 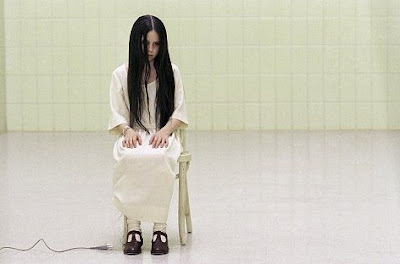 The Ring is a eerie story that is outstanding in its original form, Ringu, but the American version is just as alarming. The Ring also was a huge hit that got a lot of people excited about horror again. The one downside to all the popularity The Ring gained, is the string of terrible ghost films that followed in its vein. Released in 2001 in Mexico, Y Tu Mama Tambien did not receive a US release till 2002 and easily deserves a spot in my list. Coming of age stories have alway hit home for me and Y Tu Mama Tambien is no different. The film is a beautiful look into a friendship between two friends and the sexual exploration they encounter with an older woman. The performances are flawless, so much so, I have become an avid fan of Diego Luna and Gael Garcia Bernal. Not to mention director Alfonso Cuaron. The first movie I learned to appreciate the talents of Meryl Streep. Growing up I always hated for some unexplainable reason, but here in Adaptation. I fell in love with her and the film. Directed by Spike Jonze and penned by Charlie Kaufman, Adaptation. is a masterpiece. The film is filled to the brim with outstanding performances and a story that is beyond intriguing. Not to mention you have Nicolas Cage playing dual roles! Adam Sandler's best performance in his career comes not from a comedy, but a PT Anderson drama. Sandler is jaw dropping in his performance as an on the edge small business owner. The romantic story is mesmerizing and highlighted by Anderson's ability to continually ability to create fascinating characters. There is a lot to love about Punch-Drunk Love, but seeing Sandler excel in a dramatic role was for it's time a true experience. One of my favorite Graphic Novels and still my favorite Sam Mendes film is Road to Perdition. 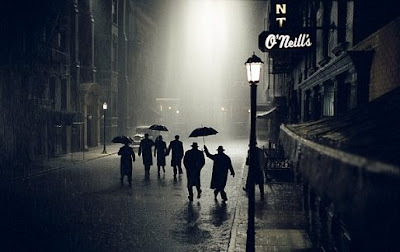 I am a epic fan of the rise of Organized crime in the US and Road to Perdition is one of the best films in the genre. The father and son bond that develops throughout the film and book are endlessly engrossing. Not to mention the character of Harlen Maguire. Tom Hanks, Paul Newman and Jude Law undoubtedly deliver powerful portrayals in their roles. It would a crime not to mention the breathtaking cinematography and imagery throughout the film, stunning. The combination of performances, character development, story, cinematography and direction come together to easily make Road to Perdition my favorite in 2002.